You are so pretty! Very dreamy pictures, I love them. gorgeous gorgeous photos! That looks like so much fun to wear to the beach! WOW stunning pictures, you look amazing! glad you had such a beautiful and relaxing day! I need to visit the beach ASAP! These are gorgeous photos!! 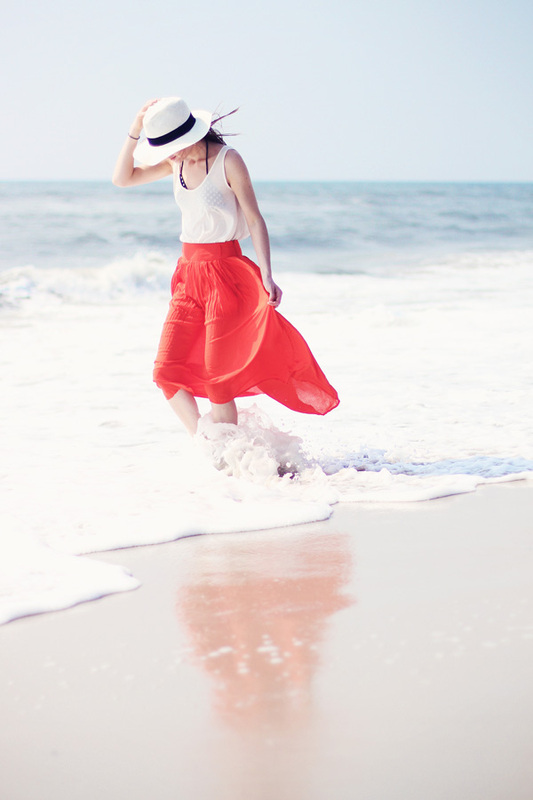 They make me miss the beach..
What a gorgeous outfit!Love the pictures, just lovely! Such beautiful photos! This is such a cute summer look! The beach looks amazing! what a beautiful white sand beach - i'd just want to stay there forever! Amazing pictures. The red skirts suits you so much. Love it! 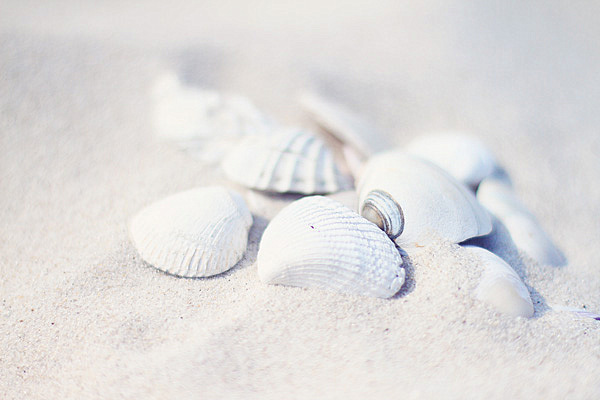 I'd love to be at the beach right now. These are beautiful! They truly represent summer perfectly! Oh it sounds and looks like your weekend was dreamy! 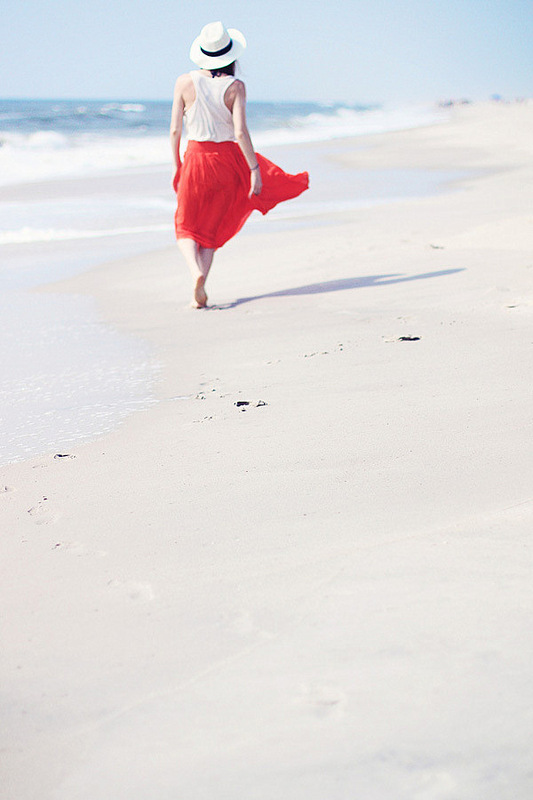 Love the whole beachy look, so cool that we are both wearing maxis on our blogs today! Loving the hat! With the skirt, such a great look! Beachy perfection. Loving your beach attire El. I love secluded beaches too & I always get mesmerised by the sea & the sound of the waves. wow, this is the best beach ive ever seen! I like how you styled the hat with the brightly colored skirt. You always seem to be having such a relaxing time with the perfect laid-back look to match. Go you! This is a lovely look. 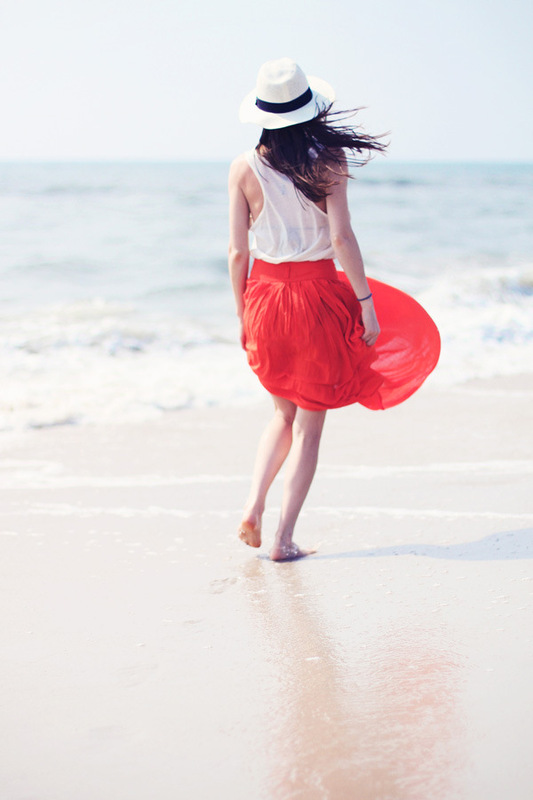 beautiful pictures - the red skirt is stunning ! !